Ever heard the saying, "If you fail to plan, then plan to fail?" It’s a hard truth, and one that I don’t want my clients to have to face; but if they do have to face it, they won’t do so alone. You and your family deserve a trustworthy advisor. Many of my clients are people who find themselves with the unexpected responsibility of managing the family finances, often inherited under stressful circumstances including death of a loved one, the pain of divorce or an untimely separation from the company that they’ve dedicated their lives to. When dealing with any of these traumas, the last thing you need is the overwhelming concern of how to navigate the issues of financial liquidity, in addition to going through the grieving processes associated with loss. My focus as a wealth advisor is to provide my clients with a plan before they encounter these situations and, when necessary, help to support and direct them through the turmoil of loss to the other side of stability, growth and marked financial security to prevent future strain on themselves and their families. And that financial plan should be custom tailored for you. Having been suddenly single at a young age with two small girls, dealing with the death of loved ones including my beloved sister and amazing parents and having also been an esteemed executive at the pinnacle of a career when a company merger forced tough decisions, my passion for protecting others from experiencing pain, panic and financial uncertainty is very, very personal. We can’t trade our past, but we can learn from it and pay it forward, which is what I love to do every single day at Morgan Stanley. I help my clients create personal income plans, show them how to incorporate safe money strategies into their portfolio and offer an ongoing series of events, Women & Wealth, to educate, engage and show others how to build financial confidence to overcome and thrive from whatever life sends their way. A seasoned professional with more than 30 years experience, Adelina has dedicated her career to helping individuals and families achieve their long term goals. Her approach includes a disciplined purpose driven process and a commitment to delivering tailored advice and ongoing financial education. She works carefully to understand her clients goals and values, so together they can establish appropriate strategies to help achieve their objectives. Adelina began her financial services career at JP Morgan Chase and developed her institutional business acumen in training & development, client management and sales & marketing. She received her B.S. from St. John Fisher College in 2001. 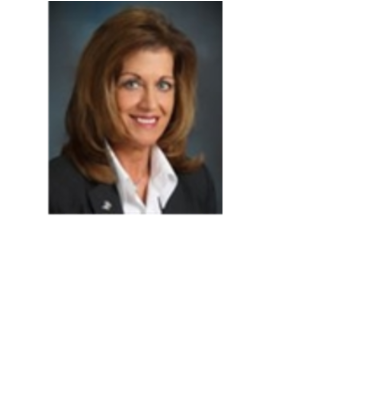 In 2011 she served as Assistant Manager for the Rochester branch of Canandaigua National Bank, and shortly after was a vice president in business development at Genesee Valley Trust Company. Adelina takes pride in being able to leverage her previous experience to motivate clients to do what is best for them. She focuses on creating trusting relationships, helping clients simplify their lives so they may pursue their dreams and enjoy the wealth they have worked very hard to create. Adelina currently lives in Churchville NY with her husband Bob. They have four grown children, and two very precious grandchildren. Aside from spending time with her family, Adelina enjoys cooking and baking, skills she honed at The Culinary Institute of America - New York.